We had reservations for January 2018. We made these reservations in November 2017 for a 4 day stay. 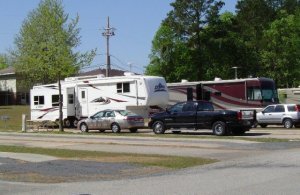 Who could predict that Charleston would be hit by a snow and ice storm during the time we were scheduled to stay at Foster Creek RV Park. We never made it out of Florida as the roads were to dangerous to travel on as well as Hwy 17 in SC being closed. Not to mention all of the accidents due to icey roads. We called Foster Creek to obtain a refund or even reschedule but they insisted on no refunds. There was no way of us knowing 30 days out that a snow storm was approaching. With that type of situation, snow and ice storm, I believe their policy should be changed and allow users to obtain a full refund under those types of circumstances. Sure it was only $88 dollars buy my point is that the reason for the impromptu cancellation was not anything we could control.